According to reports from ABC, the average American spends $1,000 per year on their cell phone bill. And, if you’re looking to cut down on your monthly bills, then it’s definitely an expense that you could do without. But, what if you could make all of your calls for free, and chat to your friends, family and co-workers by video call? Well, that would be the ultimate way to save money on your cellphone bill. The good news is that you actually can do that! There are apps out there that allow you to make video calls for free. 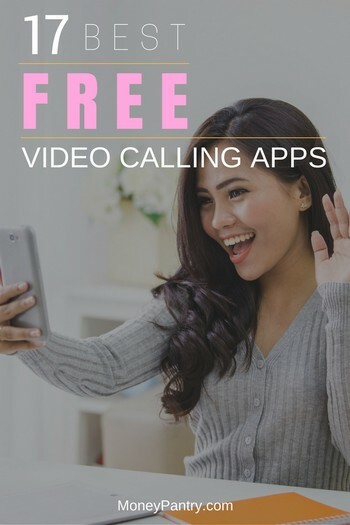 With these free video calling apps, you can make video calls and it won’t cost you a cent. Video calling apps allow you to make calls across the internet, whether that’s the Wi-Fi or your mobile data. So, to use the apps below, you’ll need to be connected to the internet – preferably the Wi-Fi. Data charges can be high, unless you have a plan with unlimited data of course. If you want to make free video calls with these apps, then you’ll want to make sure that your phone is connected to the Wi-Fi. Another important thing to note about the apps below is that the person you’re calling also needs to have that app installed. So make sure that the people you plan to call have the app that you’re going to use on their phone. That’s pretty much how free apps for video calls work. It’s super simple! Okay, so now you know how these apps work. Below, we’ve put together a list of 17 of the best apps for video calling. These apps can be used across multiple devices, including both Android and iOS devices. So, check them out and see if one of them could be a good fit for you. Skype is definitely one of the best video calling apps out there. It is so good that you can actually make money on Skype teaching stuff. It’s reliable, available across multiple devices, and, best of all, it’s so easy to use. So, even people who aren’t particularly tech-savvy will get by with it just fine. Along with WhatsApp, it’s one of the most popular messaging services out there. Making video calls with Skype is completely free to do, even if the person you’re calling is located in another country. And, it’s super easy to do. Tap on the contact that you want to call. Then, tap on the video camera symbol. With skype you can participate in group video calls, with up to 25 people. So, if you have a big family, a lot of friends, or need to talk with your work colleagues, then this is a really handy feature. As with all of these apps, the quality of the video will depend on the speed of your internet connection. But, for the most part, Skype calls are really reliable and easy. With Skype, you can also send instant messages and make voice calls. In fact, you can take part in an instant messaging group chat with up to 300 people! Skype also allows you to share photos and video messages. Another app that offers free video chat is WhatsApp. With more than one billion users in 180 countries, it’s an incredibly popular app. In fact, it’s the most popular messaging app in more than half the world! What’s great about WhatsApp is its ease of use. To use it, you don’t have to enter a username or a PIN. Instead, WhatsApp simply uses your phone’s contacts and works with your phone number and your internet connection of course. So, you can use your phone like you usually do. But, you make your calls through WhatsApp, rather than through the contacts section of your phone. Simply open up the app. Make sure you’re connected to the Wi-Fi, otherwise you’ll be charged for the data you use. Go to the chats section and open up the chat for the person that you want to call. If you have never chatted with the person you want to call through the app before, then click on the symbol on the right at the top of the screen, next to where it says “chats”. It looks like a little note and pencil. This opens up a screen where you can add a new contact. Once you’ve opened up the chat screen for the person you want to call, click on the video camera symbol next to their name. When the other person answers, the video call with start. With WhatsApp, you can also send messages, make regular phone calls, share photos and send videos. Plus, you can also create and participate in group chats. What’s interesting about WhatsApp is that you can call or message anyone for free, regardless of what country they’re in. And because it is so popular, most of your friends and family probably have it installed already. One of the best free video calling apps available is Viber. Like WhatsApp, Viber is a messaging app that you can use to make phone calls, send messages, and of course, make video calls. And, again, like WhatsApp, Viber works with your phone number, contacts and internet connection to make calls. Making video calls with Viber is super simple. Go to the Viber app and open up your contacts screen. Find the person that you want to call. Click on “free video call”. Using Viber, you can call anyone for free, regardless of their location. You can also send texts to people for free too. If you’re looking for an app that allows you to make high quality video calls, then you should take a look at IMO. It’s an app that allows you to make free video calls and voice calls. And, it doesn’t matter where the person you call lives, because calls are always free! So, you can call traveling work colleagues or friends and family members that live overseas. Plus, this app works across multiple devices. It’s not just free video calls that IMO offers either. Make voice calls for free. Take part in group chats. Overall, it’s a good option if you want to make video calls for free. Another budget-friendly video calling app is Vonage Mobile. Using this app, you can chat to your friends, family and co-workers for free. And, the best part is that they don’t even need to be in the same country as you – all calls are free, regardless of you and your contact’s location. Start a free group message with up to 50 people. And, it’s available across multiple devices too. Tango is an easy to use app that you can use to make video calls for free. And, it also allows you to do fun stuff, like play games and add filters to your face, while you’re in a video call. These fun elements make Tango one of the best apps for those who want to chat to their friends and family members. Overall, Tango is a good app for keeping in touch with friends and family. Another app that you can make video calls with for free is LINE. Using LINE, you can make video calls to your friends, family or co-workers for free, regardless of what country they live in. You can participate in one-on-one video chats or you can start a group chat. But, making free international video calls isn’t the only thing that you can do with LINE. Participate in group chats with up to 200 people. What’s interesting about LINE is that it also features news and promotions, like coupons. Facebook is not just for posting pictures and videos and liking stuff. You can save money using Facebook. There are even ways to make money on Facebook like selling your used stuff using Facebook yard sale. You can even get free stuff on Facebook just by liking! And you can make free video calls using the Facebook Messenger. Handily enough, Facebook Messenger works across all mobile and desktop devices. You can also send text messages and photos with the app too. Download Facebook Messenger for Android devices here. Download Facebook Messenger for iOS devices here. Google Hangouts is another app to consider if you want to make free video calls. It’s pretty easy to use, and it works across multiple platforms. With the app, you can participate in one-on-one video calls, or take part in a group video call with up to 10 people. . Participate in group chats with up to 100 people. Share photos, emojis, stickers, and animated GIFs. Kakao Talk is another great app that you can use to contact people you know for free. It has more than 150 million users. Using the app, you can make video calls to anyone for free. Kakao Talk also offers a number of features that make it a little more fun to use than some of the other apps on this list. For example, when you’re in a voice call, you can use the app’s unique video filters. Participate in group chats with an unlimited number of people. With the app, you can also schedule appointments and follow brands to get special deals and news. Another popular messaging app is WeChat. With this app, you can make both video and voice calls for free, to anyone in the world. You can participate in one-on-one video calls, or you can take part in a group video call with up to nine people. Create group chats with up to 500 people. Send multimedia messages, including photos, videos and voice messages. Create a personal photo stream where you share moments. The app also supports 20 different languages. So, it will translate messages to any language. This is a handy feature to have to if you often communicate internationally. WeChat is a popular app with more than 900 million users worldwide. Another app you might want to consider using to make video calls is ooVoo. Using ooVoo, you can make high quality video calls, depending on your internet connection of course, to friends and family members. You can make a one-on-one video call if you just want to chat with one person. But, if you’d like to chat to multiple people, then you can do that with the app too. You can participate in a group video call with up to eight people. ooVoo also offers a unique feature called “Chains”. Chains are collections of shorts videos, images and texts that you can share with others. 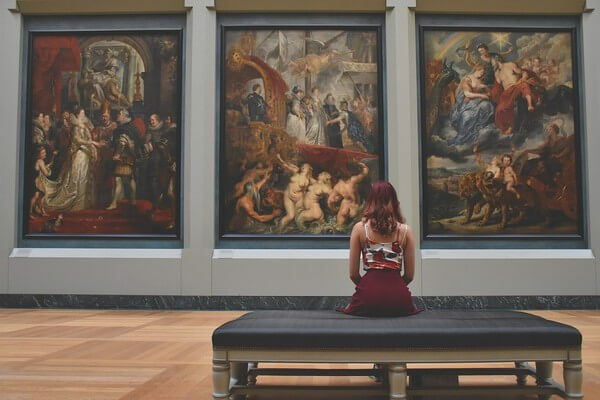 Using chains, you can create content for the app’s community and share stories with friends and others. Using the app, you can make video calls to your friends, family and anyone else, for free. The app claims that you can make fast, clear and reliable video calls on Wi-Fi and using data – but again, the quality of calls is also dependent on the quality of your internet connection. Nimbuzz Messenger is a popular messaging app, with more than 200 million registered users. If you’re looking to make free calls, then it’s certainly an app that you should take a look at. Like WhatsApp, Nimbuzz Messenger works with your phonebook contacts. Google Duo is an app that you can use to make free, high quality video calls to your friends and family. It’s a really easy to use app that features a simple user interface. You can call any of your contacts with just one tap. The app doesn’t offer as many features as some of the others on this list. But, it’s not a messaging app too, like WhatsApp and Viber. It’s literally just for making video calls and voice calls. The fact that it is so simple to use makes this app ideal if you just want to make video calls. Another app to consider for making video calls is ICQ. It’s a fun messaging app that allows you to communicate with people worldwide. It’s entirely free to use too. Using ICQ, you can make high quality video calls for free. There are also 3D animated stickers that you can use in video calls. It’s definitely one of the more fun and casual apps for video calling, so it’s ideal if you want to make calls to close friends and family. Use the photo and video editor. Add filters to your photos and videos. The apps above are available across multiple devices. But, there is also a video calling app that is specifically for iPhones that’s free to use. If you have an iPhone, then you’ll be glad to know that all iOS phones allow you to make free video calls using FaceTime. FaceTime is a default app that’s available to all people who use an iPhone. Go to the phone section of your iPhone. Next to where it says “FaceTime”, click on the camera symbol. That’s all. Doing this will start your video call. You can also make regular calls with FaceTime too. The only problem is that you can only use FaceTime to call other iPhones. So, if the person you want to call has an Android device, then you won’t be able to use FaceTime to call them. You can use FaceTime on Mac devices as well. With the apps above, you are able to call friends, family or whoever you want to, without having to pay a single cent. All you need is a good Wi-Fi connection and the right app. Consider downloading one of the apps above. They are all great for making free video calls. Just make sure that whoever you are calling also has the same app installed, so that you can contact them. Using one of these apps can save you so much money on phone bills, which you can use to put towards something much more fun! Or even just put the cash you have saved into a savings account.